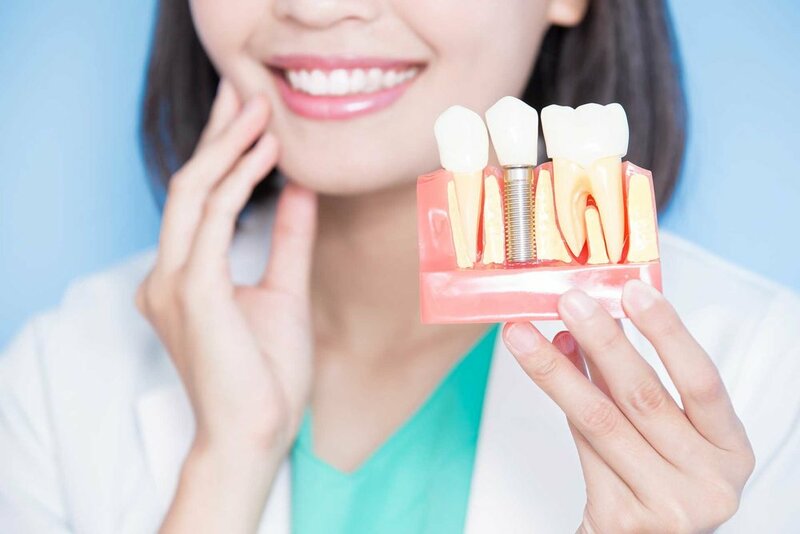 Dental implants are an excellent foundation for replacement teeth that look, feel, and function like natural teeth. Implants promote healthy bone and aid in maintaining both your function and smile. The bone bonds with the titanium, creating a strong foundation for lab-fabricated crowns.